It smelled like burned rubber: no engines roaring, but wheels screeching. And after the group of vehicles disappeared behind the next turn, everything went quiet again until the regenerative electric engines and screeching slicks forebode the fast-approaching race cars once again. 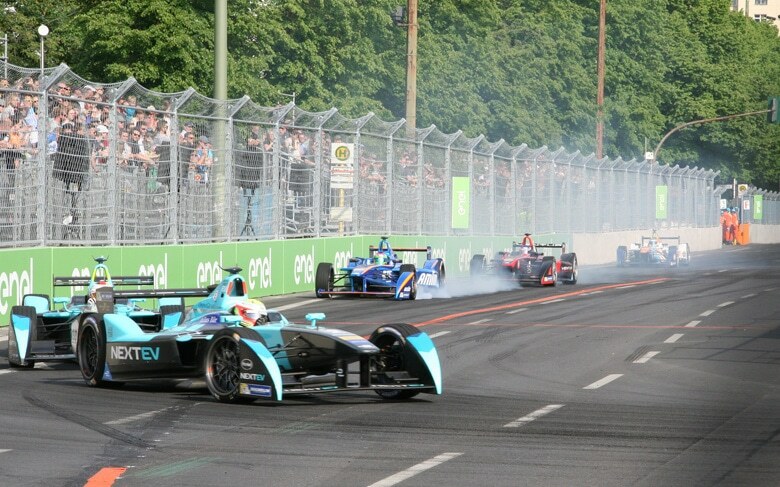 FIA’s eighth round of the Formula E Championship held on May 21, 2016 in Berlin was anything but boring.